If all you’ve got planned for your office Christmas party this year is a sad little gathering around a few minced pies in the kitchen, some threadbare tinsel hanging on the tree that’s been gathering dust since last December, or yet another meal out at the same old place, then think again. Your staff have been busting a gut for you all year, it’s time to treat them to a night they’ll remember. 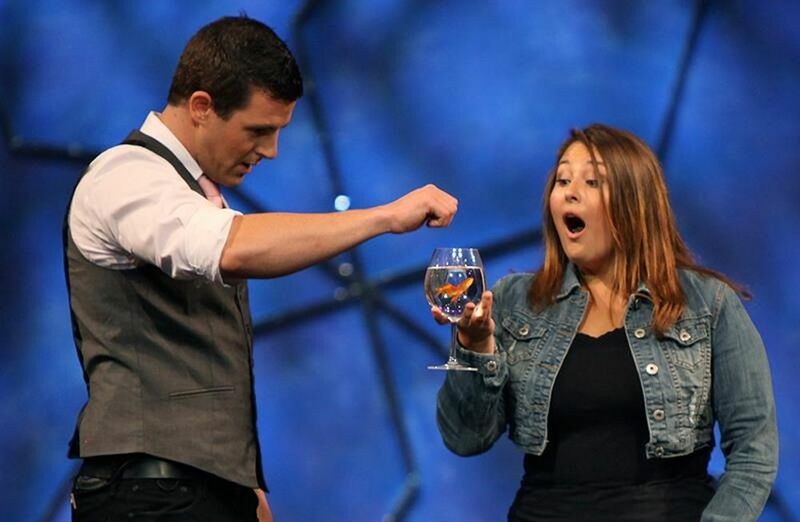 Titou is a multi-award winning Comedy Magician and Illusionist based in Nevada USA. He’s been the TV star of “Masters Of Illusion” on The CW network and is a regular performer at the world famous Magic Castle in Hollywood. Born and raised in Paris, France, Titou has performed his French-inspired magic and comedy in over 40 countries worldwide. With clients ranging from big corporate companies (Pepsi, Disneyland, Dior, Mercedes, Toyota, American Express) to theatres, television and events across the USA and around the world, Titou is in high demand. Titou can provide walkabout entertainment, enthralling small groups of guests at your cocktail party, corporate event or trade show. He invariably leaves people amazed at his sleight of hand miracles. For bigger-scale events, Titou’s Stage Illusion Show combines classic and original magic, stage illusions, dancers, music and audience participation. The impossible becomes possible and guests are left awestruck and wanting more. For more information on booking Titou, view his profile or visit his website. View all of our Magic & Illusion Acts worldwide. Zatanna – Queen of Illusion is a multi-award winning Magician, Mentalist and Illusionist based in Perth, Western Australia. 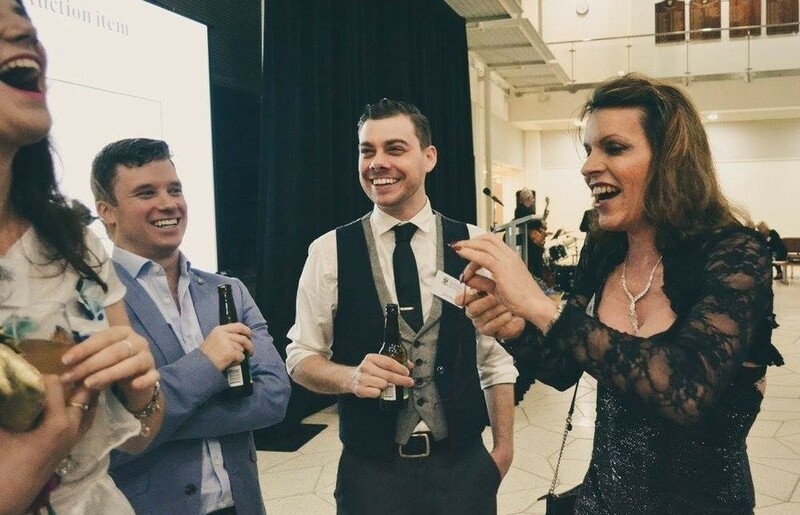 That rare thing – a female magician in a male-dominated profession, she is in fact one of only 3 professional transgender magicians in the world. Zatanna is French/Italian born and, after studying drama and starting her career in cinema, theatre and television, she began performing magic in 1996. She has performed on cruise ships, for politicians and celebrities and for corporate companies and resorts around the world. She has also been producing her own sell-out shows for the Fringe World Festival in Perth since 2011. For her mind-blowing magical talents, Zatanna won the Western Magician of the Year Award in 2007, 2008 and 2009, and the Perth Fringe World Magic Slam in 2011. She was selected to perform at the Masters of Magic in Saint-Vincent, Italy in 2016 and the Victor Bali International competition in 2017. She has been a resident magician at top venues in Western Australia and also travels the world with her shows, performing in France, Italy, China, Japan and French Polynesia. Zatanna can customise her show to your particular event. She offers roving entertainment where she mingles with guests, or a stage show with illusions, including levitating spectators and cutting her assistant in half! She can also keep you on the edge of your seat with her extraordinary mind-reading abilities. Zatanna is available to perform for corporate events and private functions, where she will amaze you with her astonishing magic, charming French accent, elegance and wit! For more information about booking Zatanna – Queen of Illusion, view her profile or visit her website. View all of our Mentalist / Mind Reader Acts worldwide. 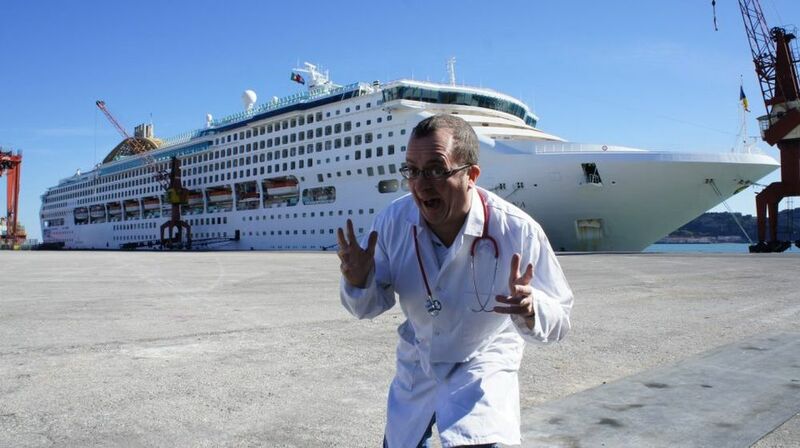 Chris Doc Strange (real name Christian P Taylor) is a Comedy Hypnosis Character that has been hypnotising people around the world since 1992. Not your run of the mill Stage Hypnotist, he’s completely unpredictable, barking mad and quite hilarious. Based in south west England, Chris is a unique comedian who is, by his own admission, professionally crackers. He’ll make you laugh with spontaneous, ad-lib comedy and delve into the pockets of your mind, producing comedy gold and astonishment. What could be more hilarious than watching your “hypnotised” colleagues become talented singers, hilarious comedians, Hollywood actors, sporting legends and all round stars for a night. While hypnotized, volunteers are relaxed, happy and free from adult concerns, much like children, willing to try or do anything that makes them feel good. Importantly, volunteers are never asked to do anything embarassing, dangerous or against their own moral code. As a professional hypnotist with over 25 year’s professional experience, Chris guides them, rather than encouraging them to go too far. During the show, volunteers remain aware of their surroundings and can wake themsleves up at any time. At the end of the show they are awakened, feeling refreshed, relaxed and rejuvenated. They have enjoyed a new experience and the audience have enjoyed seeing people, for a short while, let go of what it is to be an adult. Take a unique voyage of discovery deep into the mind. Laugh at your colleagues as they take turns to be willing and happy volunteers, and maybe even join in yourself. The show is great fun and everyone who takes part wants to do it again. Chris tailors his shows to be topical and personal to his audience and he is available now for corporate events and Christmas parties. For more information about booking Chris Doc Strange, view his profile or visit his website. View all of our Hypnotists worldwide. Patsy May is the New York comedy creation of talented puppeteer Laura, who is based in London. You may have seen Patsy on Britain’s Got Talent in 2014, where she got through to the semi-final. Laura is a versatile puppeteer, influenced by Muppets creator Jim Henson, and she recently trained at Sesame Workshop in New York City. She has been doing puppeteering for ten years and has worked on numerous stage, television and film productions. She performs a wide range of characters and voices as well as singing. Previous clients include Moonmedia, Avenue Q Hire, Lucasfilm, Disney, Sesame Workshop and ITV. Definitely not limited to children’s entertainment, she specialises in comedy and musical acts with her puppet characters, including late night adult humour. Her most well-known puppet, Patsy May, is a real character. She’s captivating, talented and very funny. A true all rounder, she acts, does comedy, sings and can also just sit and chat with your guests. You would never know from Patsy’s New York accent that Laura is from a small town in Suffolk, England. Patsy is entirely Laura’s own creation and has gradually developed over the years, finally resulting in the character as featured on Britain’s Got Talent. I can’t think of a better way to spend an evening than hanging out with Patsy May. She’s sassy, funny and adorable and I’m pretty sure she’s got a few good stories to tell. For a truly uplifting and sophisticated evening, in great company, Patsy is available to hire for all kinds of events. For more information about booking Patsy May, view her profile or visit her website. View all of our Comedy Acts worldwide. MK Caricatures is an Illustration service based in south east England. Michael offers live caricature entertainment at events, caricatures from photos and commercial illustration. He has drawn at hundreds of events all over the country and created artwork for corporate and private clients, including Audi, Sky and many more. Michael can draw on average 10 people per hour on paper, so he can get round everyone in the room. He can even brand the drawing paper with your company name and logo giving you the perfect marketing item at your next event. Guests are bound to be amused at seeing themselves and their colleagues in caricature and best of all, they get to keep the creation. For a more high-tech experience, you can opt for digital caricatures, which he does on an iPad and then emails them to you. Great for sharing on social media. Guaranteed giggles and something for staff members to cherish after the event. For more information about booking MK Caricatures, view his profile or visit his website. View all of our Artistic Entertainers worldwide. So, there are just a few ideas for a cracking Christmas celebration. Now you’ve got no excuse not to have a whole load of fantastic festive fun that will have the office buzzing for weeks! To find more extraordinary and talented performers worldwide, click here. Surprise Children at your Christmas Party and stay Organised! Perfect entertainment for a Corporate Christmas Party!